Are you short on closet space in your home? If so, you may need a place to stash your down comforters and bulky woolens while it’s 80 degrees outside. A small storage unit, rented during the warmer months, can make your home feel simplified and uncluttered. Picking up a bag of cedar shavings at the local pet store and leaving it open in your storage unit will keep away the moths. During wintertime, you can protect your inflatable boat and beach umbrella from all the cold and mold. If your youngster has just flown away to college, you’re undoubtedly left with a roomful of belongings. You may have imagined using that newly open bedroom as an office or a crafts space — but instead, you have a sort of museum to your offspring’s childhood, crammed full of mementoes that of course you’re not allowed to throw away. Self-storage may provide the solution, letting your child’s belongings be safely put away and providing you with a whole new room in your house! Redoing your basement? Where will you put the big old sofa, the entertainment center and the pool table while the work crew is down there running power tools? Most of us don’t have enough space in the rest of our house to store all the furniture when one part is being redone, so self-storage is a great solution. You have the security of knowing that your belongings are totally safe, while your workers won’t have to climb around a pile of furniture in order to get their job done. You may be in the cottage-industry start-up phase, where you assemble your products on the kitchen table, but have no official place of business yet. 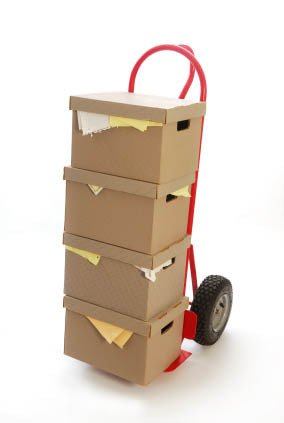 Renting a storage unit for your raw material stockpile or your finished inventory will provide you with a low-cost way of launching your business without having to look at stacks of products in every room of your house. If your work involves the use of valuable tools and equipment, you may not feel comfortable leaving them in your truck every night. For a self-employed person who doesn’t have their own garage or warehouse space, self-storage can become like another room in your house. Just stop there each morning on your way to the job, and pick up the tools you’ll need. It’s an inexpensive route to peace of mind. Self storage can be used in a number of creative ways, to make life easier and help you have the space to accomplish your personal goals. Reasons to choose self storage, Storing in Altanta, The ease of self storage, Why rent a storage unit?